Chuck Danes is the founder of Enlightened Journey Enterprises, the creator of Abundance-and-Happiness.com and the author of numerous personal empowerment/self development works, including The Miracle of You and Your Cells, and the freely distributed Enlightened Journey Newsletter. Chuck is also author of and the facilitator of the widely acclaimed personal empowerment conference, < strong>The 7 Hidden Keys To Conscious Creation. In addition to reaching countless millions through his website, programs, publications and public appearences, Chuck Danes is also a highly sought after coach and mentor offering personal consultations, One on One personalized Wealth Mentoring as well as group coaching programs. Chuck founded Enlightened Journey Enterprises in April of 2005 enabling him to place all focus and attention on what he loves and is most passionate about. Chuck fulfills his relentless passion through reaching out to an ever growing global audience who are seeking to be, do and have more in their lives through a number of mediums. Chuck's credentials speak for themselves. His extensive and independent study of the behavioral sciences, philosophy, physics, neurobiology, cosmology, timeless wisdom shared by the mystics, sages and spiritual masters from various cultures around the world, combined with a wide range of diverse personal as well as business experience, provides him with both an uncommon understanding, a broad range of wisdom as well as a distinct advantage in leading, guiding and assisting those who seek his expertise in the field of human potential. 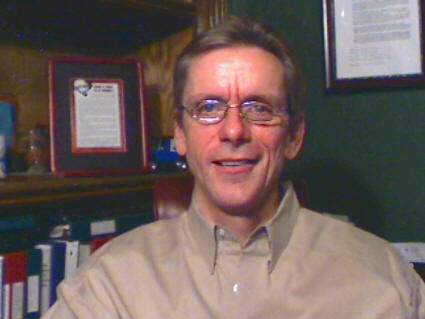 Those who are familiar with and have had the opportunity to work with Chuck are quite aware of his "meet you where you are" approach, know all too well his unique ability in guiding individuals and groups to discover, explore, become keenly aware of and initiate their own "true" potential in every aspect of their lives. Chuck's acquired knowledge combined with his many years of diverse life experiences have led him down a number of "paths", ultimately leading him to discover and actively engage in what he excitedly refers to as his "Soul Purpose." His driving force is assisting those who seek his guidance and expertise in becoming aware of, awakening, and learning to, consciously, intentionally and purposefully utilize their "true power" based on his own discoveries, which he often refers to as a being a "Higher Truth." The wisdom Chuck freely shares throughout Abundance-and-Happiness.com is based on a culmination of his life's work combined with a wide range of diverse personal experiences, many of which he describes as ranging from the "seemingly horrific" to the unexplainable and "Profound." His experiences have taken him through many of life's twists and turns and journeying down a number of paths ranging from the exceedingly joyful to the extremely painful. Experiences which he now refers to as "growth lessons" which ultimately led him to where he is now at this stage in his his life...A place of greater peace, compassion, empathy, deeper understanding, limitless hope, and a relentless passion for assisting others in making their lives more joyful, wholesome and fulfilling. Much of the knowledge, insight and wisdom that Chuck has acquired and generously contributes, isn't taught in traditional colleges and universities. Chuck prides himself on taking the initiative to become "self educated. He doesn’t possess a PHD in psychology, an MBA in business, or a Masters degree in biology, physics or chemistry. What he does possess is more than 3 decades of intense self study, an uncommon understanding of the human condition combined with a caring, compassionate and empathetic heart which is clearly conveyed and reflected through his work. His willingness to reach out, share and teach what he believes to be a profoundly empowering, extremely effective and can't fail approach for enhancing quality of life is not only unique, but uncommon to say the least. He does so through a number of venues ranging from simply sharing his personal perspectives, ideas and life experiences with those who he coaches to introducing those with specifically focused desires whether physically, financially, relationally, emotionally and/or spiritually to the tangible tools, techniques, systems and processes which have played a major role in not only greatly enhancing his own life, but have also assisted countless tens of thousands of individuals globally who are earnestly seeking to be, do and have more for themselves. Chuck's personal philosophy is actually quite simple. Think, speak and act out of "love", reach out, connect with, contribute to and assist those who are open, willing and receptive with a practical yet profoundly powerful approach for achieving what he refers to as Real Success, Real Wealth and Real Freedom and you'll both see and experience the desires of the heart become real and tangible. Chuck gets the fact that our individual hopes, dreams, desires and aspirations are as unique and individual as the people who have them. His method of teaching as well as the clear, concise and unwavering message behind what he teaches meets people where they are wherever that might be. Whether it be seeking greater peace, deeper understanding, a sense of purpose, or encouraging those with the desire to reignite and engage in their individual passions and ultimate purpose, Chuck's unique and uncanny style provides hope, assurance, clarity and measurable results regardless of what your individual desires might be. These attributes, combined with a spirit that says “Keep going no matter what, and continue seeking until you find whatever you’re looking for individually", is sure to have a profoundly positive and meaningful impact that's sure to enable and empower you to be, do and have more of what you desire for yourself as you move forward and progress down your chosen life paths. I understand and am quite empathetic to the challenges of what most refer to as "the average person", because I have “Been there and done that” and personally experienced an "average" life. I've since discovered that no one HAS to regardless of who they are, where on the planet they live, what they have or don't have, or what they currently believe to be true. I know because I've experienced the material and monetary aspects of success. I know the temporary satisfaction of attaining social status and I understand the external gratification of acquiring "material stuff", traveling to exotic destinations around the world and have both enjoyed and savored many of the luxuries and finer things in life that money can buy. I also know, in a very up close, personal, and terrifying kind of way what it is to experience the opposite end of the spectrum. I've experienced the anguish, the seemingly unbearable fear, self sabotaging doubt and gut wrenching anxiety as it all vanished in what seemed like the blink of an eye. I'm keenly in tune with what it feels like to experience a sense of hopelessness, debilitating fear, gut wrenching anxiety, temporary loss of hope, and waning faith that can and all to often follows. I know what it feels like to watch helplessly as your cars are taken from your driveway by the dreaded repo man, the gripping sensations of "seemingly" uncontrollable fear, wondering where the funds would come from to make the next house payment, and the overwhelming frustration that results from not being able to do what you would like for those you love. I suppose you could say that I've experienced the feelings of perceived separateness, desperation and aloneness in my search for wholeness. Yet through it all, I'm grateful to say that those very experiences were quite necessary for me. Each provided a necessary lesson and enabled me to gain the wisdom, assurance and understanding that ALL I, you or anyone else might experience as we walk our individual paths, is for a very specific and meaningful purpose...a "Greater Good". It's those very same "less than desired" events, conditions and circumstances which enabled me to break through those, at times terrifying periods, to experience what I can only describe as being an unexplainable and indescribable sense of peace, assurance and comfort. It's a kind of KNOWING that human words cannot possibly describe without personally experiencing it for yourself. It was these experiences which led and connected me to a Higher Truth while personally experiencing the indescribable touch of profound inner peace, assurance and Unconditional Love, unlike anything that I had ever experienced prior. I came through my own series of fearful, sometimes terrifying yet ultimately life altering events to understand at a most profound level, that Real Success, Real Harmony and Real Freedom in life is available to all who are sincere and serious about finding and experiencing it for themselves. Doing so entails and requires much more than the acquisition of monetary and material stuff which so many in today's world perceive to be necessary before success can become a way of life. That's certainly a "part of it" yet as I discovered, there's more. Much more than many are willing and/or ready to see. And once this more is discovered, understood, accepted and moved toward, as the ancient texts make so crystal clear, "All these "things" will be added unto you." That's why I do what I do. Engaging in my "Soul Purpose" enables me to lead, guide and direct those who are open, willing and receptive to what I have to offer and share, with the understanding and sense of "Knowing" at the deepest levels, that the more so many are anxiously and frantically seeking and often trying so hard to acquire, is already theirs. It's only necessary to stretch, expand and explore where few choose to look. In essence, being, doing and having whatever you "truly desire" in life is as simple as understanding, engaging yourself and EXPERIENCING what it "truly means" to be "Transformed by the renewing of your mind." I have dedicated a major portion of the past 30+ years of my life researching, digging, and at times frantically grasping, in an attempt to seek out and find the answers to many of what I used to believe were life's most complex, seemingly elusive and unanswerable questions. During my own search, with the help of some incredibly insightful and caring teachers , mentors, and a series of diverse personal experiences far too great in number to list, I gradually came to the conclusion that I had previously been looking for my answers in all the wrong places. I had allowed myself to develop "perceptions and beliefs" based on "less than true" advice, listened to many of the wrong people, placed my focus in the wrong areas, and ultimately found myself headed in the exact opposite direction of where I truly desired to be. I discovered that I had been blindly following, as so many do, what I now understand and know to be self limiting as well as self sabotaging "Traditionally established 'False' beliefs which, due to many factors, are predominantly held and "perceived" as being "true" by the vast majority. As I would eventually discover, these things become true just as we think, believe and perceive they will. And they will continue to remain "true" and reveal themselves just as we believe they will, unless and until a choice is made to explore, discover, internalize, adhere to and apply what I often refer to as a "Higher Truth." Make no mistake. Higher Truth is much more freeing and liberating than "perceived truth." I personally adhered to and took action on "perceived truth" which led down life paths which I had no desire to venture down. A number of my personal paths, as painful and unpleasant as I "perceived" them at the time that I was walking down them, would prove to be some of the greatest gifts I could have ever received. They led me through some of the most insightful and beneficial "Growth Periods" that I could have possibly experienced. It was due to those events, that precipitated my individual search for Higher Truth and deeper meaning and ultimately led me to sharing a perspective that has proved time and again to transform lives. That's what I now refer to as a "Higher Truth." In the various areas of my work, whether in my writings, my personal empowerment programs such as The 7 Hidden Keys to Conscious Creation or through the coaching and mentoring programs I've made available, although many times I refer to a "Higher Power" or "Spirituality", I acknowledge, respect, accept and understand that each individual has their own individual perception of what that means to them. Whatever the Source of your understanding might be individually will have no bearing on the effectiveness of the life changing principles that I share throughout Abundance-and-Happiness.com or through my mentoring work. In fact, looked at with an open mind and a willingness to tune into your heart, you'll discover that what I share will only serve to enhance and expand upon your current understanding, whatever that might be. I have come to appreciate and fully understand that each person in our world is precisely where they are suppose to be in relation to their spiritual beliefs, and that regardless of the many names and labels used by man, each of us is intricately connected in a very profound and meaningful way with whatever the Source of your understanding might be. A very empowering and necessary understanding to come to, although a kind and quality of understanding that far too few ever make a conscious choice to understand. That is my primary purpose for creating Enlightened Journey Enterprises, this personal empowerment portal, The 7 Hidden Keys to Conscious Creation as well offering my mentoring and coaching services to people from around the world, from every walk of life. For many years I actively pursued and participated in various denominations of structured man made religion, looking for answers. Based on the kind and quality of teachings I personally received, I tried and did my best to follow what was taught to me as "Gods Will" for my life. I've found that many teachers who convey what "God's will is" have acquired what they teach as well as what they "think they know" from others who have merely taught them. They've accepted these traditionally handed down "teachings", accepted, adopted and teach them without ever questioning, exploring and discovering if what they've learned and teach is really true. Although there is much validity in many of the teachings of our churches today, and I personally learned, gained and benefited immensely from the experiences in that stage of my life, I also discovered in far too many of these man made circles, many things that I have personally come to know and understand to be only a very small and limited picture of a much larger, far more empowering and immensely profound and liberating truth. There does exist a "Higher Truth" that extends beyond what "most" teachers "think they know." The fact of the matter is, Higher Truth extends well beyond what any of us can ever KNOW...regardless of how much we might claim or "think we know." Higher Truth provides whatever we believe it will. That's why it's so vitally important to become discerning as to who and what you believe to be true. The reason WHY is simply because we always get to be right...unconditionally. I've personally witnessed and listened to many "hell fire and brimstone" sermons that created and solidified fear based beliefs which I would later discover to be not only TOTALLY false but detrimental in the lives of those who bought into and established "beliefs" with regard to their "perceived" validity. I, like so many do today was led to believe that scripture and other spiritual writings were laws to be "followed and adhered to or else", rather than instruction for living and experiencing a wholesome, happy and fulfilling quality of life. After years of following this so called conventional wisdom, listening to many of these traditional teachings, attaining all this "stuff", and unsuccessfully trying to follow these man made "laws", I knew deep within myself that something was still missing. I knew there had to be more. Little did I understand at the time, just how much more there was to explore, discover, understand and experience. As a result of this ever so faint "Inner Knowing" I began researching, exploring and searching deeper. That search led me to and resulted in many profound discoveries as well as personal experiences. 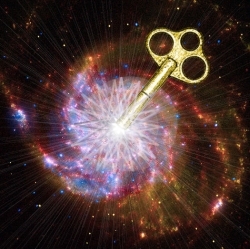 Once I began to break free from the previously established and self limiting traditional boundaries which had been set for and forced on me prior, and I began questioning much of what I had been previously taught, or what I to that point had been led to believe to be "The right and only way", new doors began to open. I experienced what many in today's traditional places of worship, whether churches, synagogues or monasteries would call "miracles." It was at that point that I made an even more amazing discovery. All those years of searching for the answers and solutions in the outside world, looking to everyone else to guide me in my search, attempting to find peace, contentment and deeper meaning in a predominantly focused material world, I was led to look and found my answers in a place where I had never imagined they could be, or ever dreamed to look. I found them "Within Myself." I've since discovered that anyone can by simply making a "conscious and intentional" choice to do so. Many just don't know how or for any infinite number of reasons, or simply refuse to do so. I've since discovered that although everyone would if they knew the joy, peace, contentment and fulfillment that was found there in this "silence within", our socially and culturally accepted awareness and understanding of what's right, wrong, good and bad, keeps many from finding the very thing they're looking for. As I personally discovered, most are "looking for love in all the "wrong" places." It's found within yet we're consistently taught and encouraged to look where this Love can never be found let alone experienced. Numerous faiths, contradictory, mixed messages from varying denominations of man made religion, false promises from the cookie cutter approach, "Fix It In 24 Hour" personal development programs, and the like can be extremely confusing for a true seeker. Although in my particular case, each was necessary to allow me to experience a series of epiphanies, awakenings, and each serves a Higher Purpose which enabled me to arrive at my desired destination, a shorter path exists. A much shorter, far more liberating and certainly more empowering path than those which many of us are led to believe to be the ONLY path. "While it is often necessary and extremely important to seek out and gain as much information and knowledge as possible; and although doing so is actually necessary to "unlearn" what so many have been taught and "perceive as being "true" with regard to themselves and life in general, in order to best facilitate your growth and heighten your awareness of the true workings of our universe, allow your "inner self" to be the final judge as to it's validity, regardless of who or where it comes from. Do not allow false teachings, appearing to be valid, to limit and hold you back from becoming all you were designed, intended and created to become." Put simply, make a conscious and intentional choice to seek out and find your own answers. When you do and if you will, you will, at some point, know for yourself, they are real and are based on a Higher Truth than most "choose" to become aware of. You'll "know" at a depth you've never known or experienced before what it truly means; as the ancient text clearly and succinctly states what it means to "Be still and KNOW that I am God." If you are truly seeking answers, the Source, whatever the Source of your understanding might be, will find you. Doors of awareness and understanding will open. What you and each of us are looking for will be revealed and you will find your answers...Profound answers. You won't have any further doubts or apprehensions...you'll "KNOW." The fact that you've found your way to Abundance-and-Happiness.com has a definite, specific and meaningful purpose regardless if you choose to utilize the principles that it shares and conveys or choose to reject them. As you explore the site, take what works for you and leave the rest..."allow" your heart to be your guide. It is my sincere hope and intention for you, that I might play a role in providing you with insight, direction and understanding that may and perhaps will enable you to minimize any unnecessary "Growth Lessons" in your own life. My personal journey has led me through many twists and turns. I have experienced and endured many "Growth Lessons" during that journey that may have been otherwise bypassed had I been open to and developed a different understanding...had I been receptive to a "Higher Truth" than I had previously chosen to follow. The principles taught within this site are what I have come to believe and choose to refer to as a "Higher Truth." For me, The Real Truth. Again...that's why I do what I do. It's both my passion and my "Soul Purpose" to share and introduce others to this "Higher Truth" as best I know how and allow all who pass through to come to their own conclusions. My only intent is to present you with possibilities that you may not have previously been made aware, and that through them that they might enhance your current level of awareness as well as your quality of life, enabling and empowering you to enjoy a wholesome, fulfilling and harmonious existence that I've found and personally believe to be your birthright. It's simply a matter of reclaiming yours. It is my sincere and heartfelt hope for you, that through Abundance-and-Happiness.com, I might help you bypass many of the "growth lessons" that I have experienced, and assist you in finding your "shortcut" to inner peace, happiness, joy, contentment, fulfillment and limitless prosperity in each and every area of your life. Ultimately, it's my hope, intention and Soul Purpose, to assist all who will enable and allow me to, to assist them in making the shift from Fear to Love. My ultimate goal is, through sharing my own personal experiences and discoveries, contributing to you in the most significant and meaningful way I currently know how in the hopes that your journey through self discovery, awareness, and fully experiencing the kind and quality of life that you desire and deserve will be as quick, simple, profound, and fulfilling as you'll allow it to be. Feel free to browse and explore abundance-and-happiness.com. There's much here for you and many pleasing, profound and measurable blessings in your immediate future. Claim them. As I've shared, I believe, in fact I've come to KNOW, it's your birthright and you CAN create for yourself what I personally refer to as life overflowing with Abundance And Happiness. 1)To elevate awareness one person at a time and assist seeking individuals worldwide in discovering, understanding, and developing their "TRUE Potential" through the sharing my message with the hope that they might walk the shortest path possible to whatever it is they aspire to be, do and/or have in life. 2) To encourage individuals to become independent thinkers so they might recognize and transform false, traditionally established, self sabotaging and self limiting beliefs and shine their own light so others might benefit. 3) To provide those seeking a more fulfilling and harmonious quality of life with life transforming knowledge, insight and tangible wealth creation tools and resources , designed to assist all in achieving and experiencing "Real Wealth", Harmony and Fulfillment in each and every area of their lives whether physically, financially, relationally, emotionally and/or spiritually. 4) Ultimately, To have a direct, profound and lasting impact on leaving the world a much better place than when we arrived through "Being the change we wish to see in the world." For additional insight and guidance be sure to check out Chuck's new Real Wealth Creation blog . Also, be sure to subscribe to Chuck's YouTube channel where he'll be sharing some short but powerful insights. Copyright © 2005-2018, All content within the Chuck Danes bio and throughout Abundance-and-Happiness.com is copyright protected and strictly prohibited from copy, reproduction or distribution of ANY type without the express written consent of the author and/or Enlightened Journey Enterprises. All Rights Reserved Worldwide.